Please Shut The Gate Laminate Plastic Sign. Black/white or green/white. This green and white standard laminate plastic sign is 6" wide by 2" high. 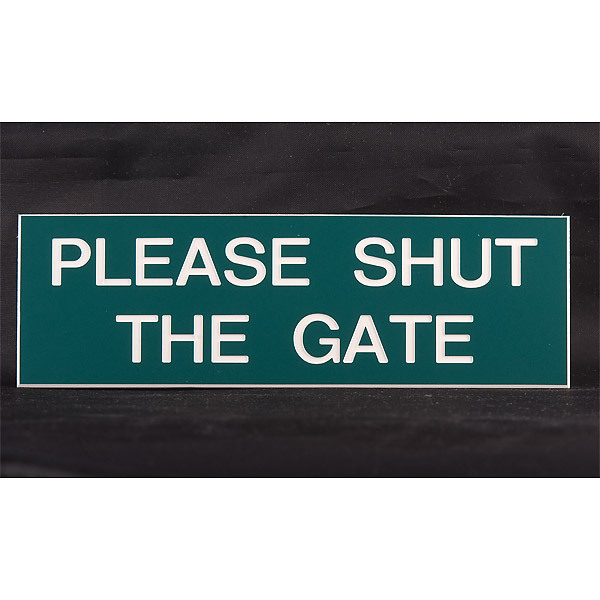 It is engraved on 1.5mm laminate with PLEASE SHUT THE GATE, and is also available as a black sign with white lettering. These plastic signs may be stuck or screwed for fixing, and are available with a screw hole in each side if required. The postage rate for the please shut the gate plastic sign is Band A.